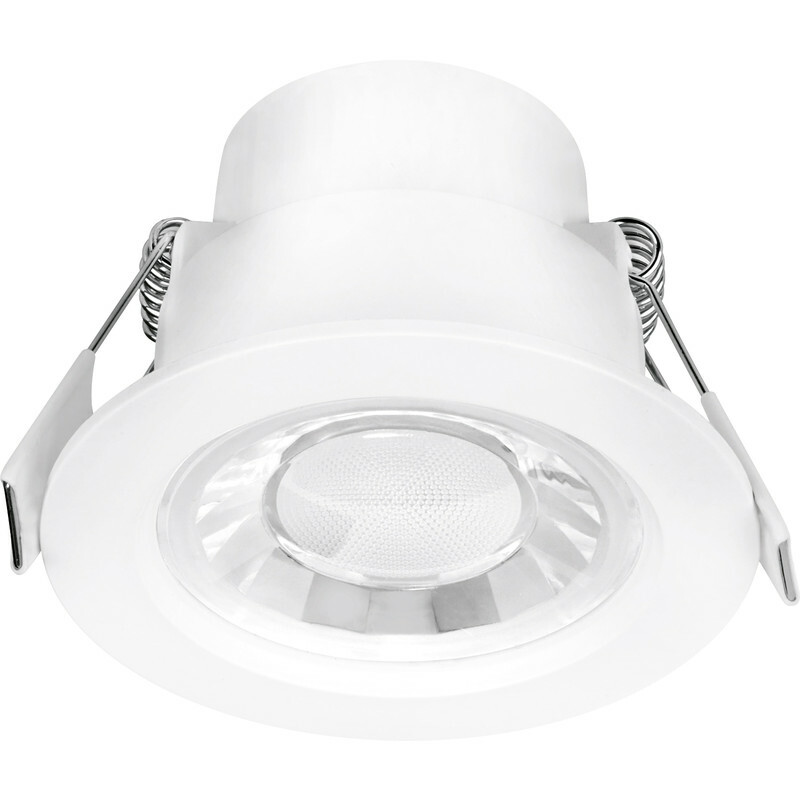 Enlite Spryte 8W Fixed Integrated LED IP44 Downlight Cool White 570lm A+ is rated 4.9 out of 5 by 9. Rated 5 out of 5 by goinggrey from Good bright lamps I bought the dimmable version a year or so ago and these worked well. Decided to change over 4*50w halogens in the bathroom. Easy switch and now using 32W rather than 200W. Brighter light too. Rated 5 out of 5 by Knocker2 from Great lights Used to replace old bathroom lights, easy to fit and a nice clear light. Rated 5 out of 5 by Knaresborough Dave from Good product Bought three of these easy to fit, but you need connectors. Look good and very bright. Rated 5 out of 5 by Barnstormer from Compact and Wide beam I have used the replacement bulbs by Enlite from toolstation in the past so when I needed some new downlights and saw these were available I purchased without hesitation. They are very compact and will fit in a tight space and still leave good clearance compared to standard fittings. They give an excellent uniform light and the 60 degree wide angle is much, much better than most fittings on the market meaning you don't need so many!